Whoa, I have a lot to share with you all today, which is awesome and not awesome at the same time. It’s awesome, because all of it is amazing, but not awesome because I’m leaving for my Christmas vacation to Texas on Monday, so I don’t actually get to enjoy any of these books until halfway through January. Sad face. But they’re still awesome. 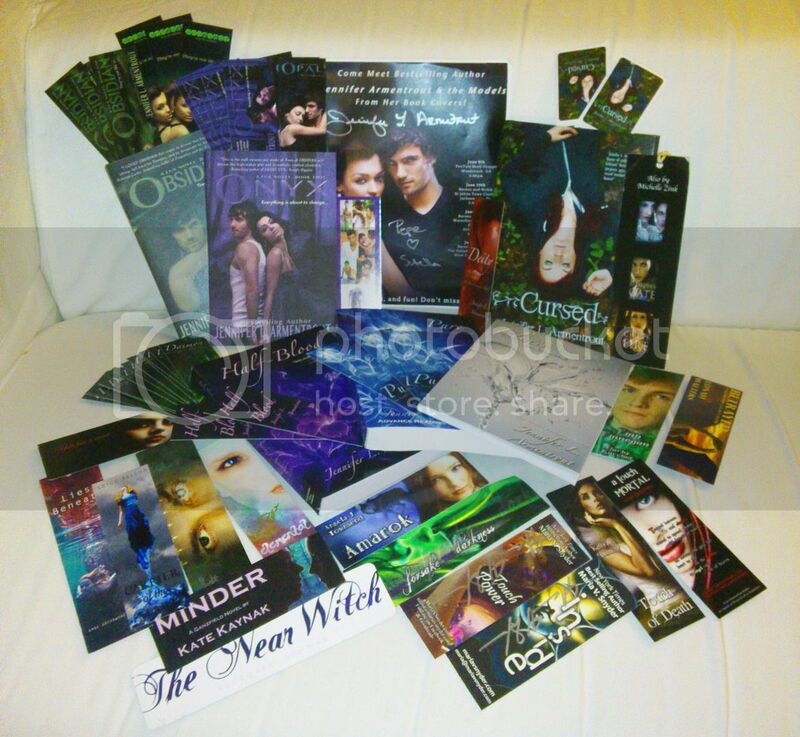 Various bookmarks for other novels, some of them signed. Only now I won’t get to read that sequel until January… Sigh… It will be a test of patience, but at the same time, I have enough other books on my TBR list that I’m pretty excited to get around to as well. You are SO incredibly lucky. And I will keep an eye out for your giveaway!! Haha, thank you! 🙂 Giveaway won’t be until January, but yeah, definitely will happen. I couldn’t keep all that swag for myself, haha. Haha, I’m pretty sure with this giveaway I used up all the luck I’ll ever have in my life xD Thanks for following!! 😀 And thanks for stopping by. I’m not speechless but making the O_O face. I know you have to wait to read them but it’ll be worth it. Happy Christmas! Haha, yeah, I had that expression too, especially when I found out the books were signed, which I wasn’t expecting at all. Thanks, and happy Christmas to you too!! Yeah, it’s a great Christmas present indeed, I’m just so in love 😀 Thanks for stopping by! Haha, thank you! I’m definitely enjoying them. DEFINITELY check out Daughter of Smoke and Bone!! It’s so worth it, I’m basically recommending it to everyone I know, haha. Aww, thank you! I feel bad making everyone jealous now, but yeah, at least with all the extra bookmarks I can share some of it with everyone 🙂 DEFINITELY read Daughter of Smoke and Bone! It’s so amazinggg. Thanks for stopping by and happy holidays to you too!! Haha, thank you! Oh I agree, for me it’s usually a toss up if I can get the British or the American cover more easily, so I like always comparing them and just choosing the one I like more 🙂 But I loveeee these British covers. 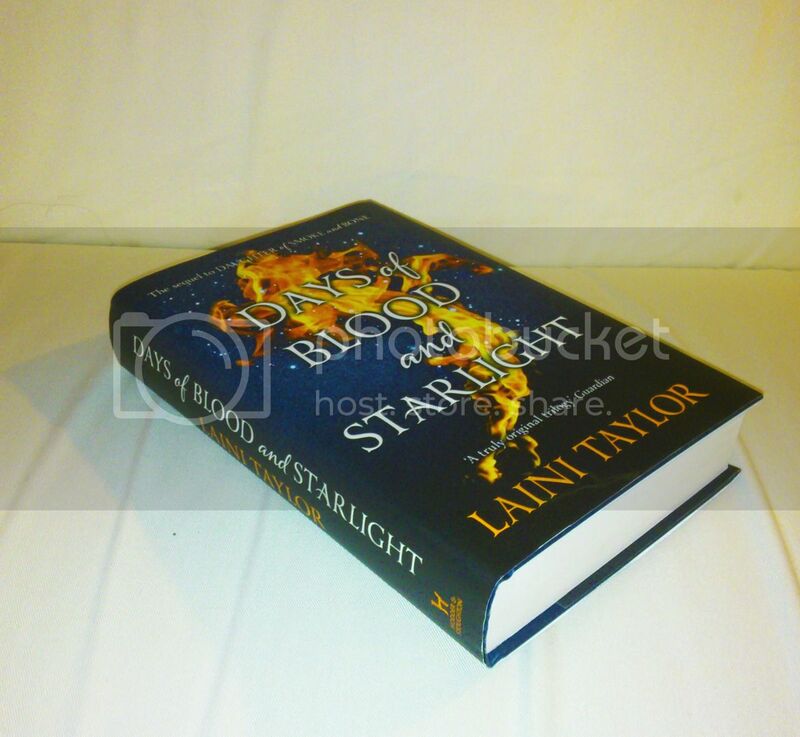 I’d love to get Days of Blood and Starlight myself! I’m so excited to read it, I’ve only heard really positive things, ahhh! I hate waiting. Amazing haul! I loved Cursed you will love it! Who doesn’t love swag!Happy Holidays! Also if you like to take part in blog tours! Check out my new blog READING AWAY THE DAYS BLOG TOURS! I am looking for more YA blog hosts for tours! Thanks! I haven’t heard much about Cursed, but the concept sounds really great! Happy holidays to you too! Congratulations on winning! What a wonderful price 😀 I hope you enjoy all the books! Aww thank you 🙂 I will definitely enjoy them, haha, I pretty much know that for sure!